Bryan’s first foray into the restaurant world was as a dishwasher at a small Mexican restaurant in Colorado at fourteen years old. He fell in love with the mechanics of the kitchen and quickly moved his way up to making sopapillas and desserts. Soon after, he was cutting his high school classes to work the line, and quickly showed his skill at managing a busy kitchen. A move to Portland, Oregon introduced him to a restaurant culture he had never seen before. 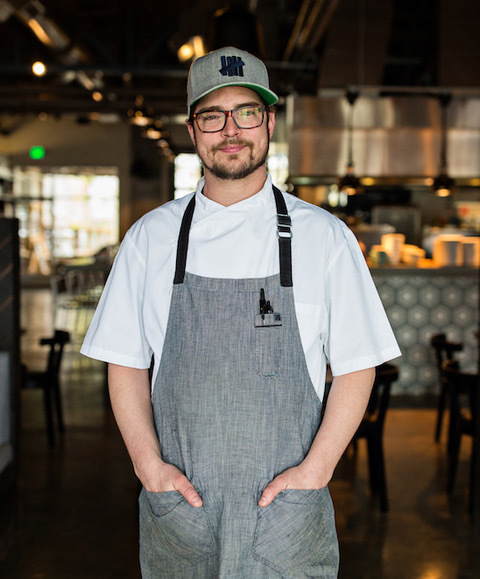 He soon entered the world of fine dining under the mentorship of chef Sarah Schafer at Irving Street Kitchen where he grew to love the art of charcuterie and salumi and the practice of preserving the bountiful produce available in the Pacific Northwest. When he’s not at work Bryan loves spending time with his fiancée and two cats. He is also a hip hop junkie and an avid basketball fan.